We were SO excited for the opportunity to work with Marianna Hewitt of Life With Me again!! 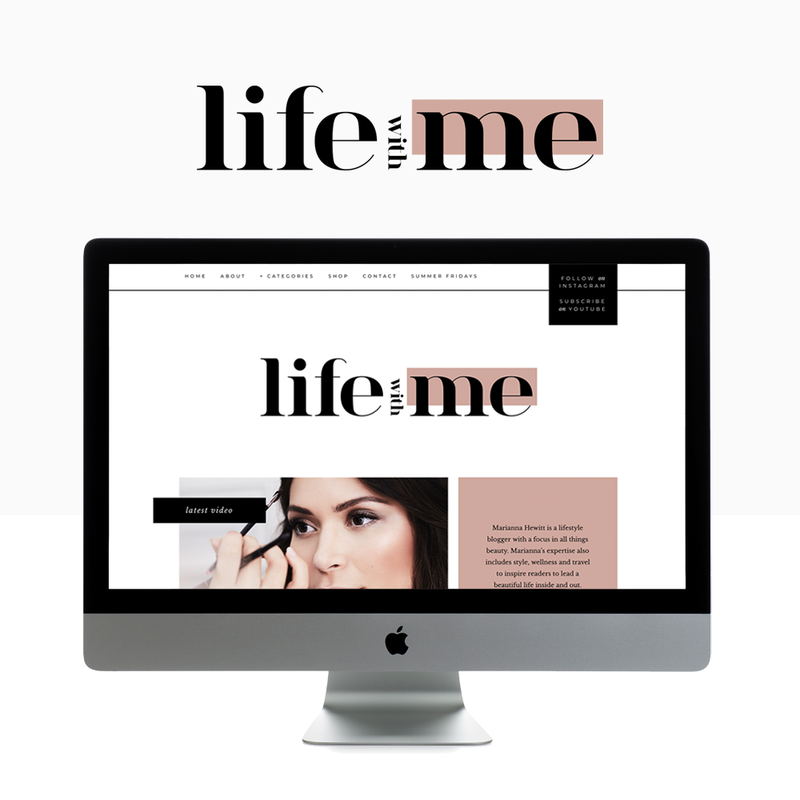 We helped her first launch her site in 2015, and now helped her out with her rebrand of her lifestyle & beauty blog. When she came to us this time around, she wanted to update with a high-end, elevated brand. With the internet moving faster than the speed of light, It's VITAL to your business to stay updated! PLUS, Marianna knew her target market had shifted, so she made the shift with them. Click the button below to see the live site! Follow Marianna's lifestyle and beauty blog on Instagram.